A solid grey suit may be the most versatile thing a man can have in his closet. Match it with almost any color of tie or shirt, throw on either black or brown shoes and you’re ready to go. Almost as versatile as the grey, navy can be worn with a variety of colors. Wear a solid navy suit multiple times in a week with a different tie/shirt combo and no one will know. A staple for casual friday or networking events. Pair it with khaki’s or lighter colored slacks and an opened colored shirt. 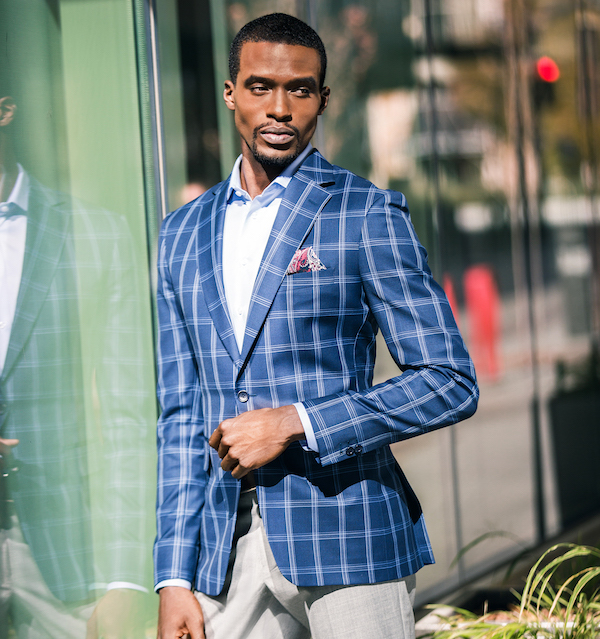 Perfect for casual friday, great for summer days with no jacket, or pair it with your favorite sport coat. A good pair of lighter casual slacks can add sophistication and variety to your wardrobe. It’s been said that every well dressed man should have 3 crisp white shirts in his closet. A true staple and safe option for any occasion. Whether you are the CEO or the intern, a crisp white shirt always works. Weather you are dressing down for casual friday, or looking to add sophisticated variety, a good sport shirt works great with no tie and with or without a jacket. The perfect pair of brown shoes can be worn with blues, greys, earthtones, etc. Go with a leather sole. Though brown shoes are more versatile, a well dressed man should have a polished pair of lace up black shoes used for the more pivotal meetings and dressed up occasions. A fine winter coat is a must for all men in cooler climates. Weather its worn over the suit coat or just with a shirt and tie, this sophisticated look will add clout and professionalism on those cold days. The finishing touch for the well dressed man is the right accessories. A white pocket square, clean matching socks, a good watch and well tied tie will complete your look.